One person I particularly enjoyed meeting at the Wine Blogger Conference this past July was Mr. Steven Washuta, the Assistant Winemaker at Old World Winery in the Russian River Valley. During the second “Speed Blogging” session, he poured a particularly memorable red, the 2009 Abourious. It’s not every day one gets to try a 100% Abouriou, after all. Indeed, I’d never even heard of this varietal until he poured some in my glass. This wine was more than just a curiosity; it tasted really delicious (you can read my notes from the Speed Blogging session here). I wanted to know more. Odd Bacchus: How did you end up becoming an assistant winemaker? And what exactly do you do at Old World Winery? Steven Washuta: About three years ago I decided that engineering wasn’t my thing, so I dropped out of college in Atlanta and moved to Walla Walla to enroll in Enology and Viticulture classes. I graduated in June of 2010, but I came down to Sonoma County on my spring break to look for jobs. A friend from Portland had found Old World and recommended I try the wines; I was in the right place at the right time. [Winemaker] Darek Trowbridge was looking to hire someone for a few different functions, including winemaking and sales, and I fit the bill. Besides helping in the winery I also do tours and tastings, marketing materials, some accounting, and a little bit of everything else. OB: What is Abouriou? And why did you and Darek decide to produce it? SW: Abouriou is a grape from Southwest France. It’s hard to find a lot of info on it, and I’ve met very few wine professionals who have even heard of it. The main region in France is Cotes du Marmandais, and there they blend it with the five Bordeaux red varieties as well as Syrah, Gamay, and Fer. The vineyard is an old Martinelli vineyard, and Darek is part of that family. We had the opportunity three years ago to take it over and he jumped on it. We weren’t sure what to do with it, but the barrels from 2009 were so amazing on their own that we couldn’t blend it. We’re getting ready for our 4th harvest on this vineyard. OB: Tell me about the Abouriou vineyards in the Russian River Valley – what’s the landscape like there, and why did you plant the Abouriou where you did? SW: We actually have no idea why Abouriou is there. We didn’t plant the vineyard – we think it’s about 70 years old and we just assume the Martinellis have used it as a blending grape in the past. 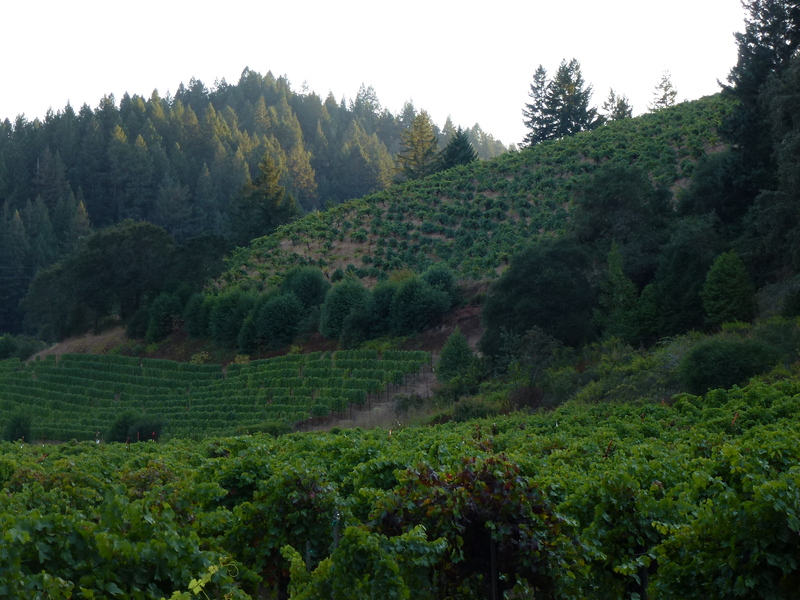 The site itself is awesome – it’s on a slight south-facing slope right under Jackass Hill, which makes Martinelli’s most expensive and well-known Zinfandel. It’s in a small valley surrounded by tall trees in the coastal area of the Russian River Valley, but it’s somewhat blocked off from the breeze and gets pretty hot during sunny days. OB: Is Abouriou a tricky, finicky varietal to work with, like Pinot Noir, or is it pretty consistent from year to year? SW: It’s hard to say because we haven’t been working with it long. It ripens fairly early – last year it came in just a couple of days after our Pinot Noir and Pinot Gris; I expect it to be pretty consistent, but thus far the 2010 in barrel definitely has a different character than the bottled 2009. I expect some more of the same orange-peel type spice to start coming out with more maturity though. OB: You poured the 2009 Abourious, made from 100% Abouriou, to much acclaim at the Wine Blogger Conference. But I can find no reference to this wine on your website. Are you keeping it a secret until the official release? SW: We aren’t trying to keep it secret – I actually started a blog for the site but we are in the process of switching it over to the actual website. There’s a lot of info about Abouriou there – it’s located at http://blog.oldworldwinery.com/abouriou. OB: Are you the only folks making an Abouriou in the U.S. right now? I researched it a bit, and I found that Luddite Vineyards in Sonoma used to make it. Any idea what happened to them? SW: As far as I know we are now. Luddite was Steven Canter’s personal label, and he was getting the same fruit we are now prior to 2008. I’ve actually never been able to track down a bottle, but hopefully I’ll find one one day. OB: I see your winery makes use of biodynamics in the vineyards. If the Abouriou I tasted is any indication, it seems to be working. Do you find biodynamics to be significantly better for the vineyards than conventional methods? SW: We are big proponents of biodynamic farming. The Abouriou was actually only organically farmed until this year. In my opinion the requirements on the winemaking side of biodynamics don’t get enough attention. Does burying a cow horn really help the wine? I don’t know, but using native yeast and minimal sulfur definitely does. Either way, I prefer to drink wine farmed organically or biodynamically just for the peace of mind – grapes aren’t rinsed when they come into the winery and if they aren’t safe to eat off the vine why should we be drinking them? The concept of biodynamics goes beyond the vineyard, and it’s really beneficial to people and the environment. I’m glad to see more wineries embracing the concept but I worry about it becoming more of a marketing tool than a true passion. OB: I thought the Abouriou was one of the most exciting wines at the conference – will we be able to get our hands on some in Chicago? SW: We only bottled 109 cases, so I doubt we’ll have any distribution of this wine. We can, however, ship to Chicago directly for anyone who is interested. Since the wine isn’t for sale yet it’s not on our online store (which is currently receiving an update), but anyone who can’t wait can email me directly to order a bottle or six. I should note that we don’t have any Illinois distribution – right now our three primary states are California, New York, and Louisiana, but it’s unlikely we’ll ever sell this wine anywhere other than straight from the tasting room. OB: Can we expect any other obscure varietals to be resurrected by Old World Winery any time soon? SW: Last year we produced still wines from four traditional Portuguese varieties. The vineyard is up in Lake County and is organically farmed. 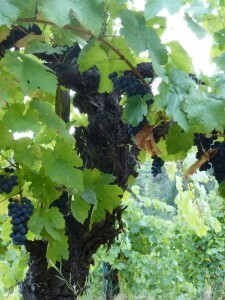 The four varieties are: Touriga Nacional, Tinta Madeira, Tinto Cão, and Sousão. We haven’t decided if we’ll keep any separate or blend them all yet. We also have a block right across the street from the Abouriou that we inherited this year. The vines were planted in 1890 and contain a mix of weird grapes. We haven’t figured out what they all are yet, but I know there’s Sauvignon Gris and Zinfandel in there. It’s about half reds and half whites, but we are going to ferment it all together in the true field blend tradition. OB: Be sure to keep us posted. Thank you!